Fast, powerful & accurate proposal generation for New Comparability or Cash Balance retirement plans. Our state of the art Cash Balance proposal system gives you the means to create attractive Cash Balance plan designs and reports. The system automates the entire plan design process and creates attractive 401(k)/Profit Sharing Cash Balance and Stand-Alone Cash Balance illustrations. Every plan design is submitted to non-discrimination testing and provides feedback. 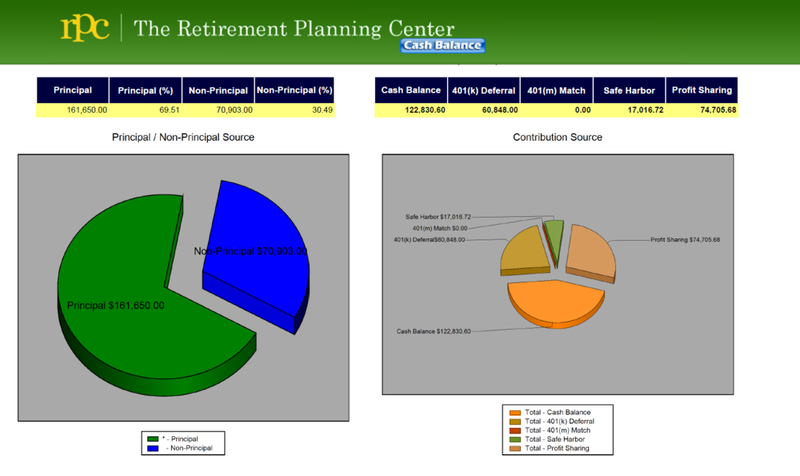 The Retirement Planning Center is a web-based retirement plan design and proposal system for 401(k), Defined Contribution, and Defined Benefit plans. Utilized by Fortune 500 companies, the Retirement Planning Center is a viable sales tool that will help you create accurate, attractive plan illustrations. The system validates all census data, conducts non-discrimination testing, and produces professional report sets.